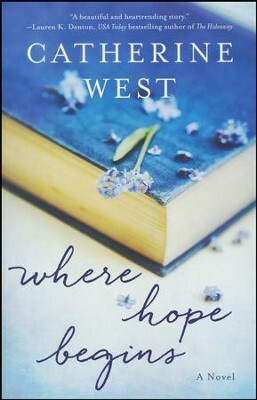 I have enjoyed each book that I have read from Catherine West and I was interested in reading Where Hope Begins right when I first heard about it. This book tells the story of a woman who is struggling to move on from loss that she dealt with in the past and the pain that she is currently facing. The book also intertwines the stories of a number of other individuals close to this woman. Those who love an emotional read will enjoy this book. The story of this book is definitely different from anything else that I have read. The characters in this book are interesting and fun to read about. This book is touching and it offers hope. There is a bit of "fake" stuff in the book that kept me from fully loving it. I give Where Hope Begins 5 out of 5 stars.